Pamela Dorman Books, 9780670784639, 280pp. 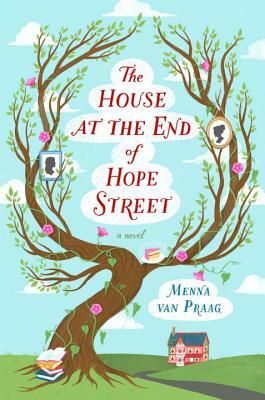 Distraught that her academic career has stalled, Alba is walking through her hometown of Cambridge, England, when she finds herself in front of a house she's never seen before, 11 Hope Street. A beautiful older woman named Peggy greets her and invites her to stay, on the house's usual conditions: she has ninety-nine nights to turn her life around. With nothing left to lose, Alba takes a chance and moves in. She soon discovers that this is no ordinary house. Past residents have included Virginia Woolf and Dorothy Parker, who, after receiving the assistance they needed, hung around to help newcomers--literally, in talking portraits on the wall. As she escapes into this new world, Alba begins a journey that will heal her wounds--and maybe even save her life. Filled with a colorful and unforgettable cast of literary figures, "The House at the End of Hope Street" is a charming, whimsical novel of hope and feminine wisdom that is sure to appeal to fans of Jasper Fforde and especially Sarah Addison Allen. Menna van Praag is a freelance writer, journalist, and Oxford graduate. She is the author of "Men, Money and Chocolate." She lives in Cambridge, England, with her husband and son. "Beguiling and bright, van Praag’s . . . novel delights with deft writing and charming characters." "Van Praag’s writing is bright and hopeful, while rich characters combined with an enchanting blend of the real and the mystical make this tribute to individuality a delightful and engaging read. Fans of Jasper Fforde, Gloria Naylor, or Sarah Addison Allen will especially appreciate this story as a celebration of feminine strength and accomplished women through the ages." "Sweet, magical, bookish and romantic."